Passengers planning to travel today via the Jomo Kenyatta International Airport have been advised by the Kenya Airports Authority to arrive at the airport four hours before their departure time due to the expected disruptions from VIP guests arriving for President Uhuru Kenyatta’s inauguration. Several roads including Mombasa road, Thika Superhighway, Uhuru Highway and Museum Hill will have limited access to allow heads of states and Government represents quick access to the Moi International Stadium, Kasarani, where President Kenyatta will be sworn in for his second term. “JKIA is fully functional today,” the KAA posted on Twitter. 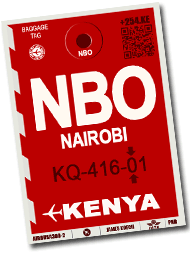 Kenya Airways has also issued an advisory asking passengers to plan their flights accordingly due to anticipated heavy traffic.